Good idea Jen! I have to say plain cucumber is not my fav, it must be nicer pickled. Have you tried with other veggies? I haven’t tried this specific recipe with other veggies but I’m sure it would be delicious! 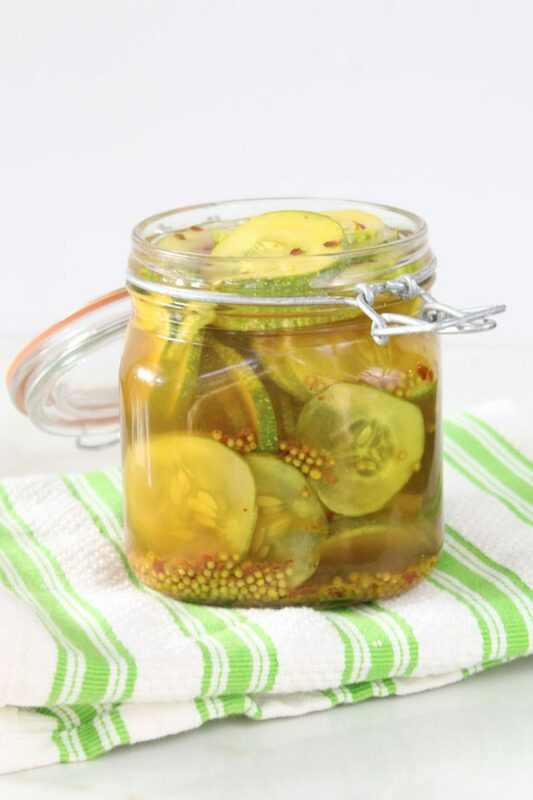 My other fave veggies to pickle are green beans, carrots, cauliflower and radishes. Ooh these remind me of the Famous Dave’s pickles we get at Costco. 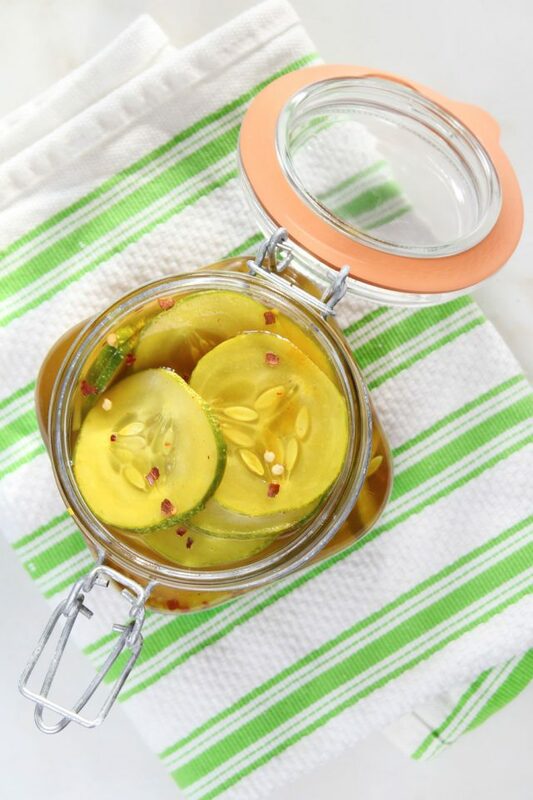 :) I love sweet and spicy pickles. Mmmmm. I haven’t tried those!